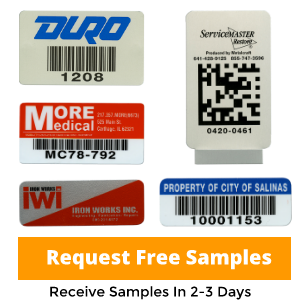 Premium Polyester Barcode Labels provide the flexibility and functionality you need in a basic polyester bar code label. Designed for a variety of applications, the versatile polyester is pliable enough to conform to curved surfaces and durable enough to resist caustics, solvents and mild abrasion. 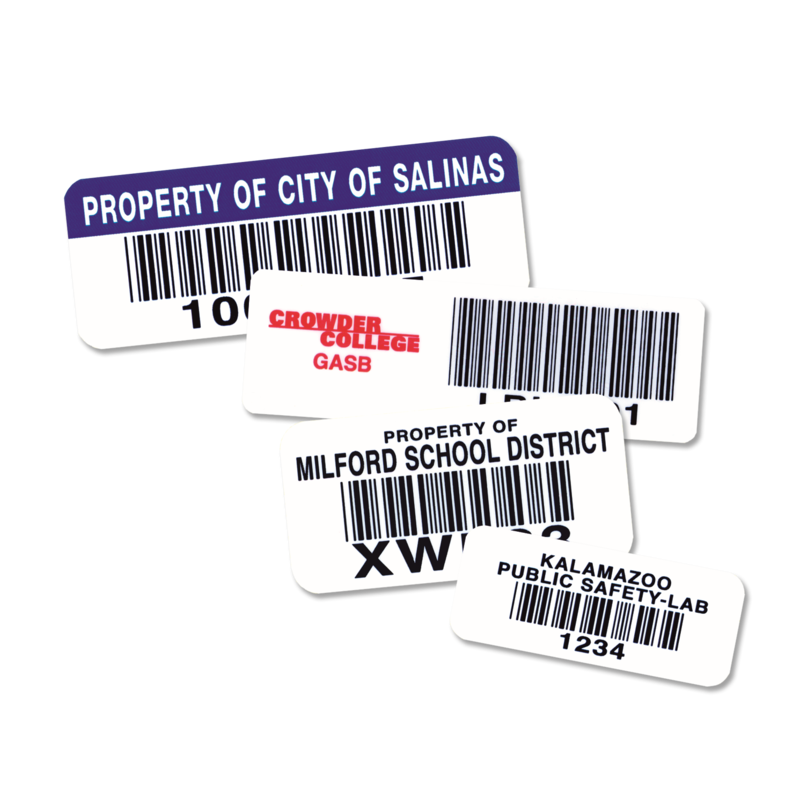 Premium Polyester Bar Code Labels are subsurface printed which provides an extra layer of protection for the logos, copy and bar code against solvents, caustics, acids and mild abrasion. This unique process eliminates the need for a laminate; thereby eliminating the additional cost for the laminate as well as the possibility of delamination. .002” thick, pressure-sensitive adhesive provides permanent adhesion. The digital printing process used to produce these labels ensures even the most detailed logo will look crisp and clean. Custom spot colors are available in addition to the standard colors – black, red, yellow, green and blue. Attachment Method .002" thick pressure-sensitive adhesive that provides excellent adhesion to uneven and slightly oily surfaces. Environment Mild, moderate and extreme. Resists extreme solvents and caustics/acids. Material .002" thick white or silver polyester which can withstand moderate to harsh exposure, mild to moderate abrasion and temperatures up to 250°F for short durations. 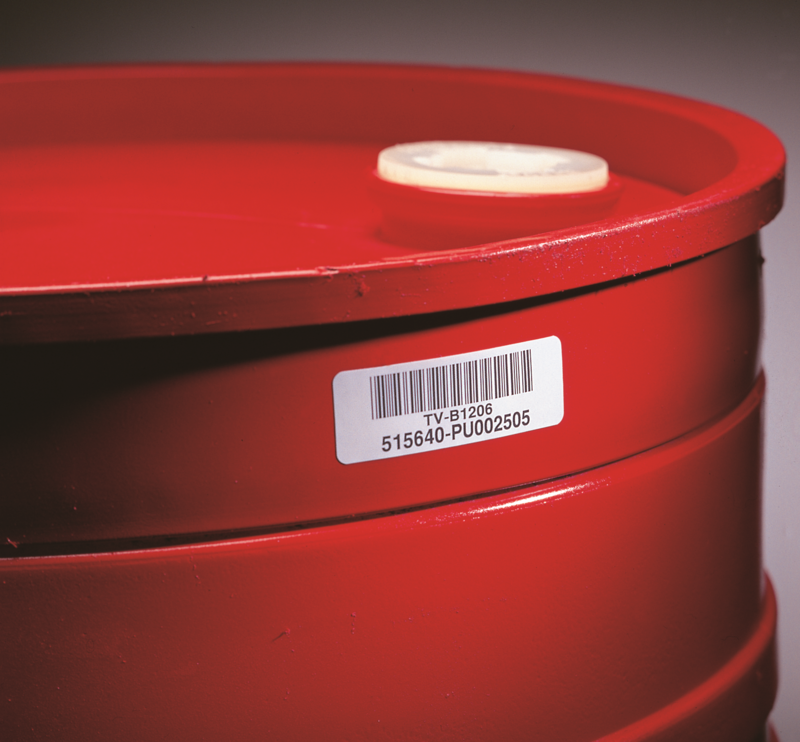 Serialization Barcode and human-readable equivalent is produced using the latest high-resolution digital technology available, which provides excellent clarity and easy scanning. Code 39 is the standard symbology with a range of 2.7 to 9.4 CPI (characters per inch). Optional symbologies include Code 128, I 2 of 5, 2D DataMatrix and QR Code. 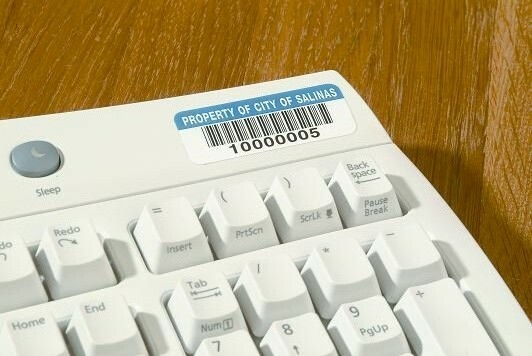 Although this product is primarily marketed as a bar code product, we can produce it with human-readable numbers only or unserialized. Label Copy The label copy may include block type, stylized type, logos or other designs. All copy, block type, stylized type, logos, designs, and bar code are subsurface printed. This unique process provides excellent resistance to solvents, caustics, acids, and moderate abrasion. Colors Standard colors include black, red, yellow, green or blue. Custom spot colors also available at no additional charge. Due to contrast needed for the bar code scanner, all bar codes are black. Standard Adhesive .002" MC78 adhesive. This adhesive has excellent durability, particularly suited for a wide range of polyolefin and other low-surface energy materials (powderpaints, etc. ).